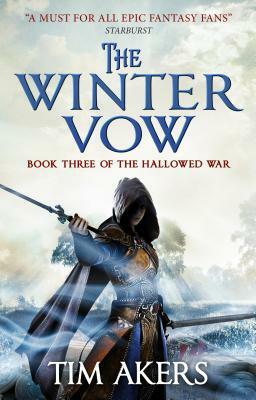 The third volume in this powerful epic fantasy in the tradition of Robin Hobb and Peter Brett. Ruling with an iron hand, the Church has eliminated the ancient pagan ways. Yet demonic gheists terrorize the land, hunted by the Inquisition, while age-old hatreds rage between the north and the south. Three heroes--Malcolm and Ian Blakeley and Gwendolyn Adair--must end the bloodshed before chaos is unleashed. Tim Akers was born in deeply rural North Carolina, the only son of a theologian. He is the author of the Burn Cycle from Solaris Books, as well as The Horns of Ruin, featuring Eva Forge, published by Pyr Books. This is his inaugural entry into epic fantasy.